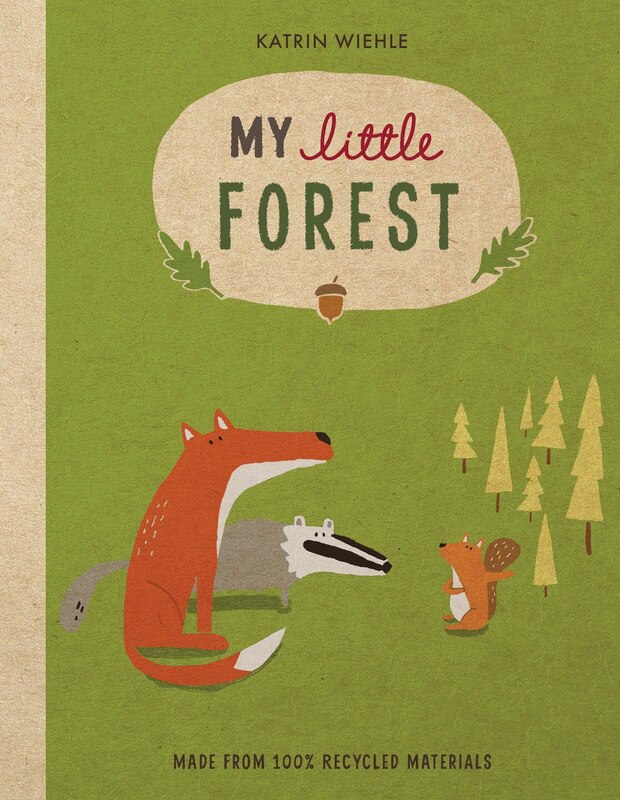 My Little Forest and My Little Garden are the first two English-edition titles in Katrin Wiehle's adorable new board book series. 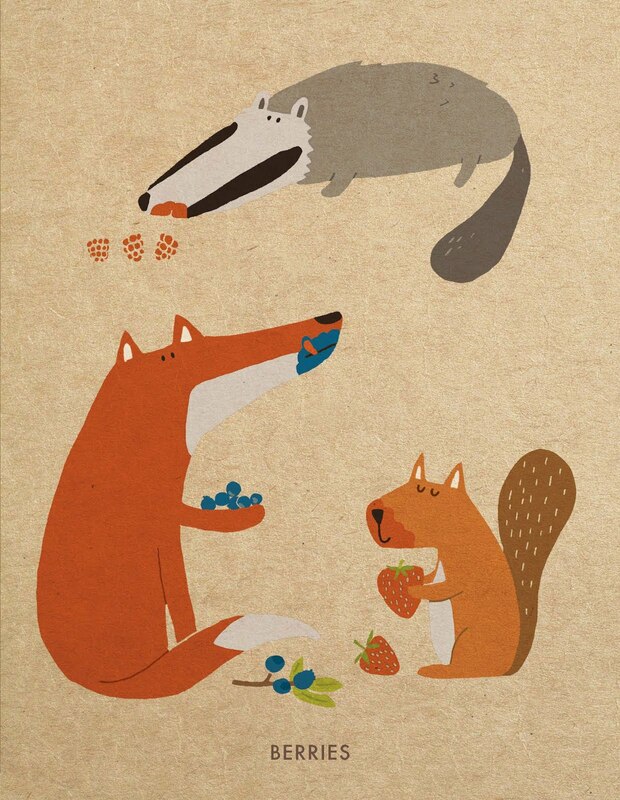 Both of these gentle concept books use three different animals to discuss nature: Hedgehog, Mouse and Sparrow explore the garden they live in, and Fox, Squirrel and Badger explore their forest, introducing the local plant and animal life to readers. 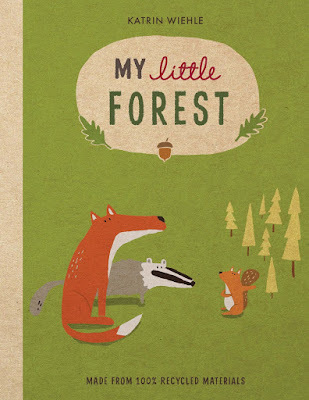 The first page of each book sees readers meeting the three main characters, and then each subsequent page highlights the nature around each location, like pinecones, woodpeckers, daisies, and snails. 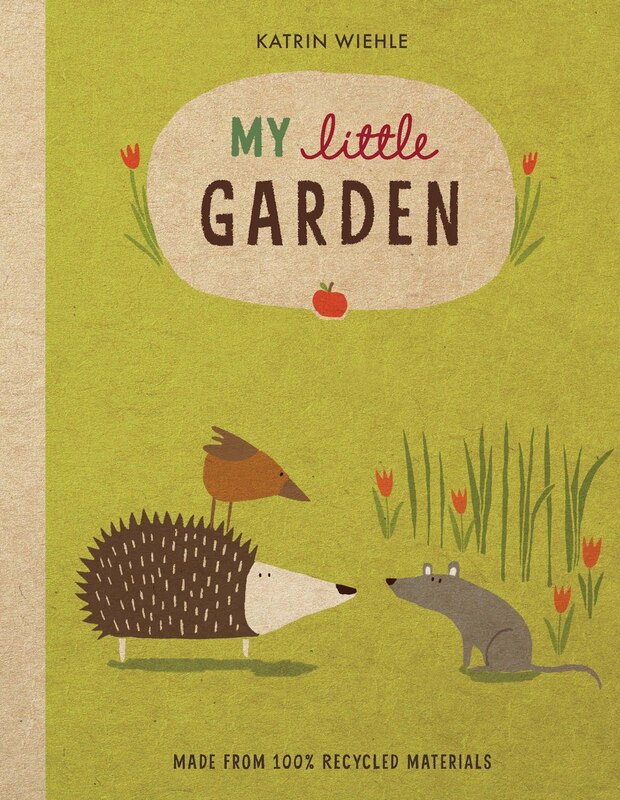 The text is sparse –– perfect for the board book format –– and the books are made from 100% recycled materials. Wiehle's illustrations are natural, created in earth tones that perfectly complement the eco-friendly materials of the books themselves. 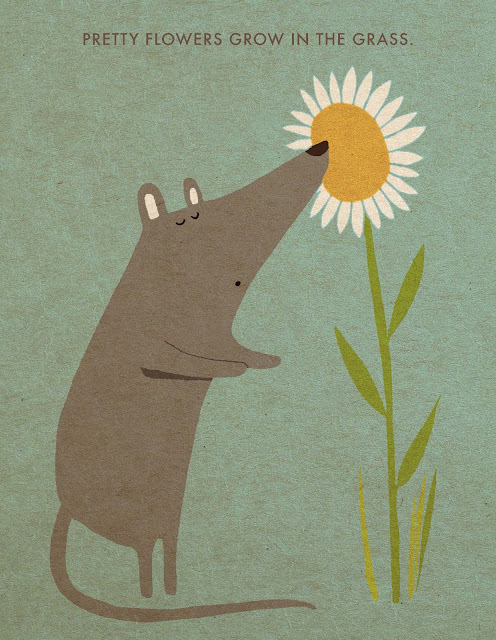 And while the images are printed to look flat, they have an energy and texture about them that jumps right off the page. My Little Forest and My Little Garden published earlier this month from Houghton Mifflin!